Cheap flights to California: San Francisco & Los Angeles for only €452! US Airways now offer superb prices of flights to California. 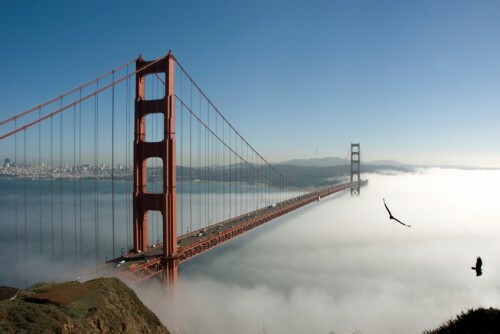 Return flights from Brussels to San Francisco are available for only €452! You can also fly to Los Angeles for the same price. If you live in Germany or you prefer to return to German airports you can also choose departure from Brussels and return to Munich or Frankfurt for the same price. 23 kg luggage is included and there is one stopover in Philadelphia. Book via BudgetAir (click on Show extra search options if you want to enter return to Munich/Frankfurt). « Cheap flights to Iceland: Reykjavik for €133!